I'm putting my flipping skills to use for good instead of evil this time. 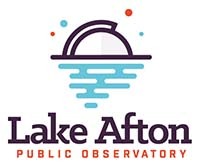 This is stuff found around Lake Afton Public Observatory, finally got permission to sell it off so we can use the money to refurbish the main scope or work on exhibits. Prices are shipped to US, will take pics in the morning. Considering trades for 2" diagonal, 11 or 13 T6 pending approval.